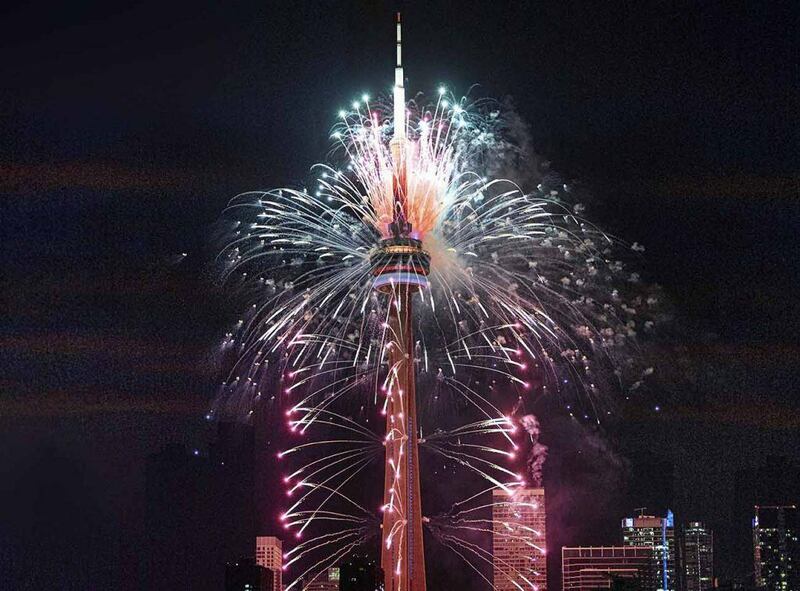 The CN Tower is going to be lit for Canada Day. Well, at least the sky around the CN Tower will be thanks to a huge fireworks show being put on by boom 97.3FM. The 5-minute long fireworks display will be coordinated with a music simulcast playing on the radio station. 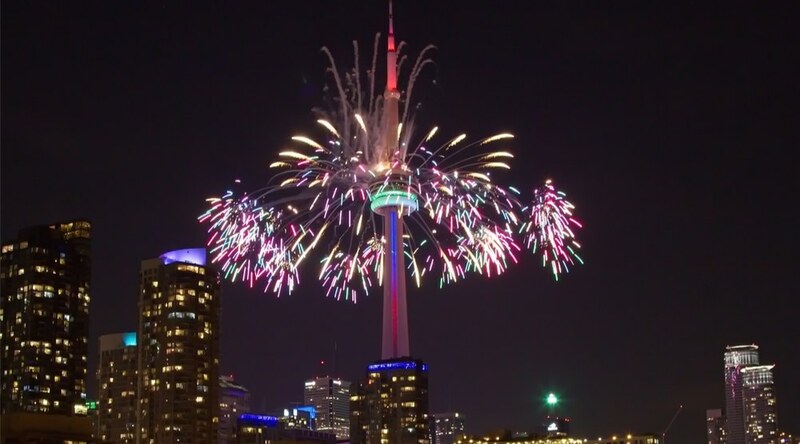 According to the CN Tower’s website, the show will begin at 10:30 pm on Canada Day with a 30-second lightshow before the sky is taken over by 5-minutes of fireworks set to Canadian music. A second lightshow following the fireworks is also promised. You can head on down to the area around the Tower or, given the height of the fireworks, take in the show from any number of places downtown.